Baking cookies and treats with your kids is a time honored tradition during the holiday season. 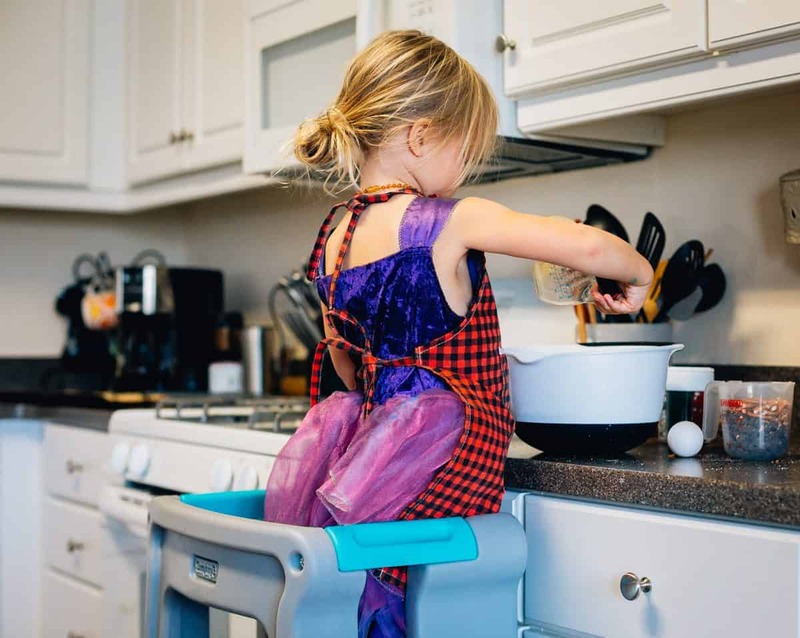 However, one thing rings true for every parent: holiday baking with kids can be a mess. 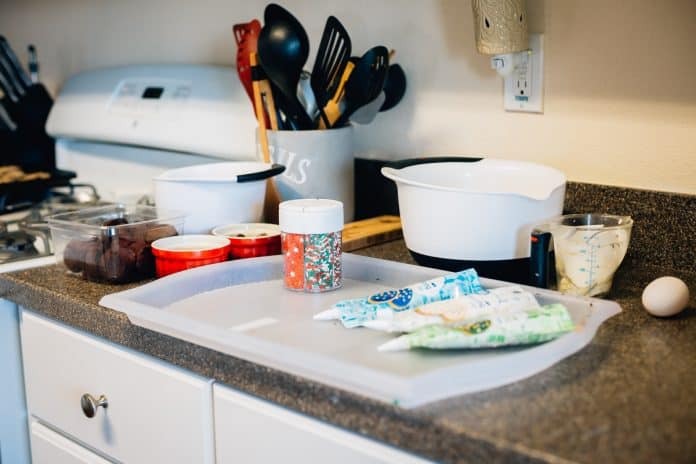 We have come up with some of our favorite tips and tools for your holiday baking this season, as well as some reasons as to why you might want to start this tradition in your house. Incorporates math into your child’s day. Measuring and adding are all part of baking. Works on fine motor skills. 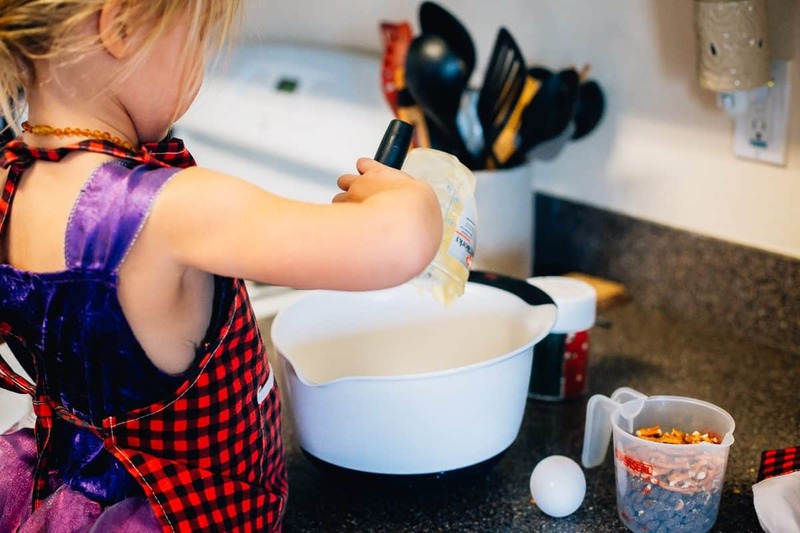 Scooping, pouring, and stirring are all smaller motor skills needed in baking. It starts a family tradition. If you make holiday baking a tradition early, it will continue to be something your children look forward to every year. You can try new recipes. It’s always fun to try something a little different each year. Here are 4 holiday cookie recipes you can try (along with parenting hacks to make it easier). 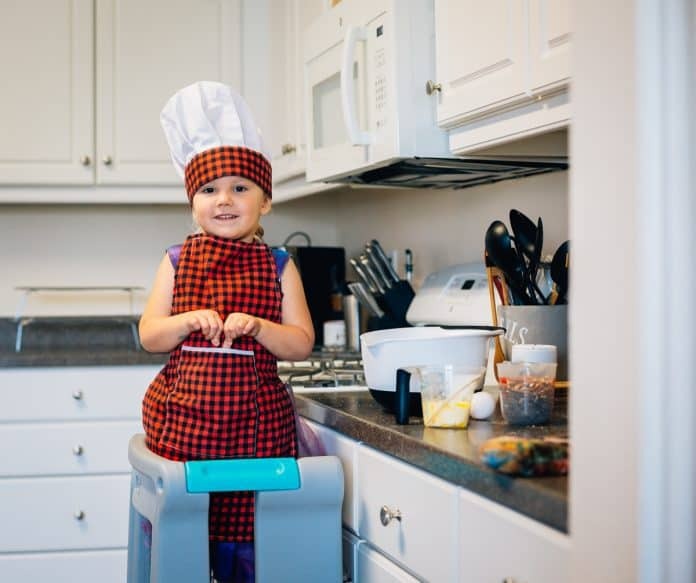 Read on for some tips on how to make holiday baking easier with kids this year. One of the best things you can do before you start baking this holiday season is to get all of your ingredients and tools ready. Like they say, idle hands are the devil’s playground and nothing is more devilish than a toddler or preschooler looking at a canister of sprinkles. 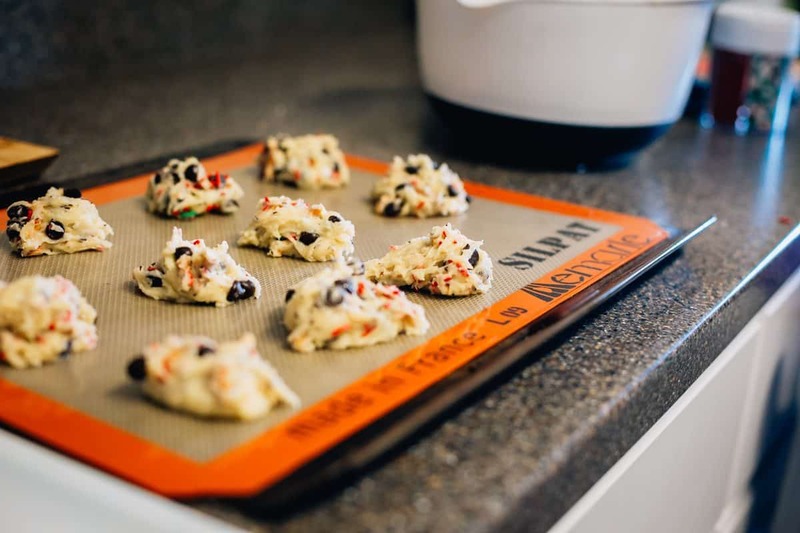 One of the most under utilized tools in the kitchen, especially for holiday baking, is a silicone mat. 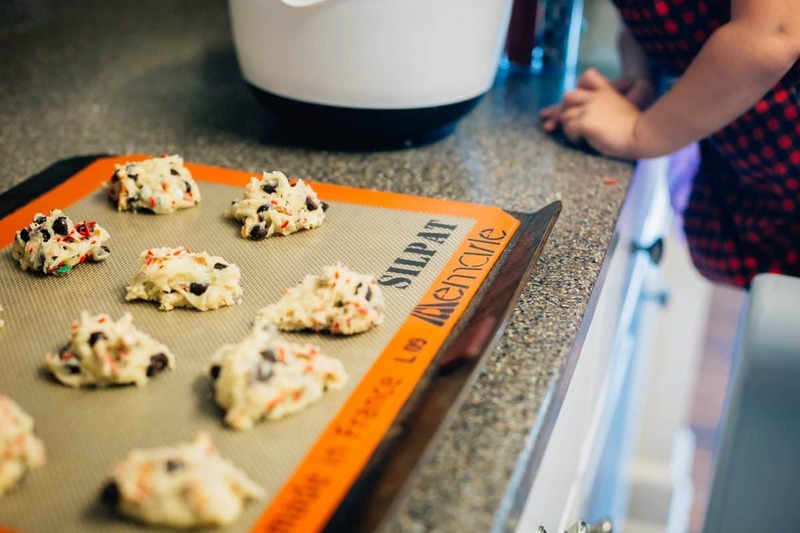 These mats are perfect for when you have to bake dozens of cookies but don’t have time to wash and dry baking sheets. 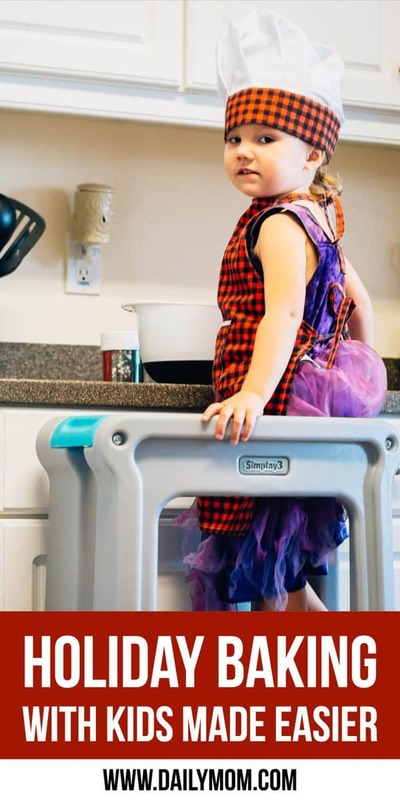 They come in all different sizes so they can fit any size baking sheet you might have. If you don’t have silicone baking mats and don’t have the time to wait for Amazon to deliver them to your door you can always use parchment paper. 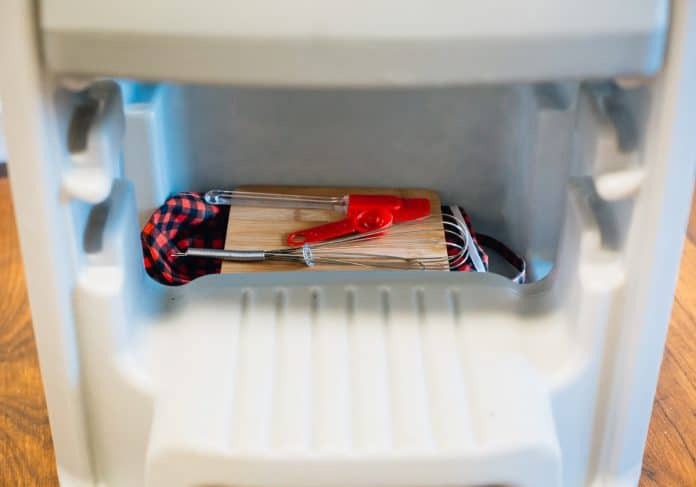 It is another under-utilized tool in the holiday baking arena. 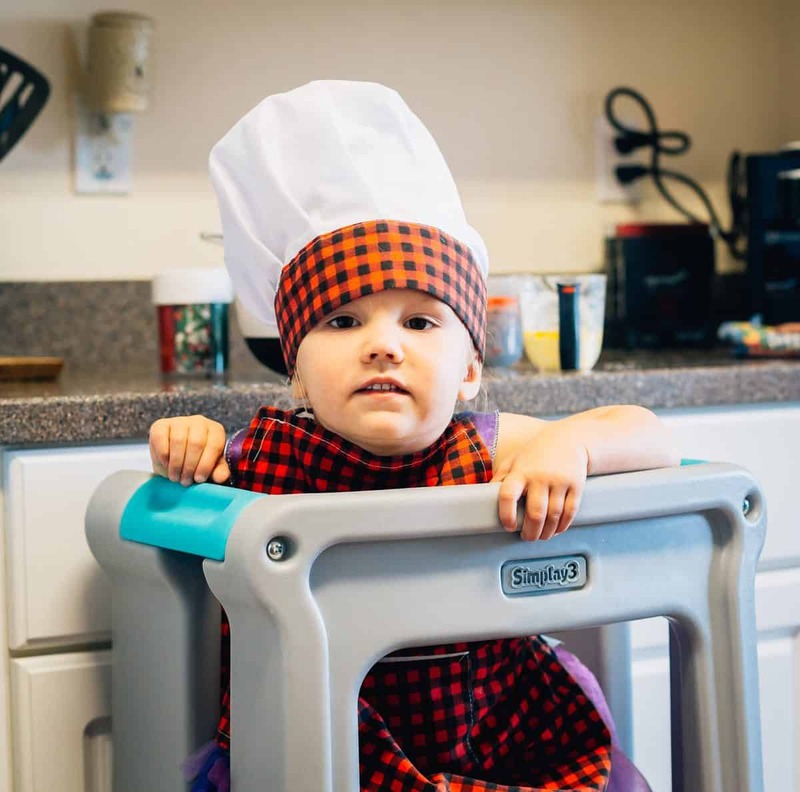 Everyone knows that in this day and age we all follow the rule of “pics or it didn’t happen.” These bite-size aprons and chef hats are the perfect way to add some extra cuteness to your social media photos, and they will also help to keep your kid’s clothes a little bit cleaner and keep some of the flour out of their hair. Maybe. Nothing is harder for a toddler or preschooler than trying to stir with a spoon that is just way too big for them. These pint-size baking tools are great for all your cooking needs. Your kids will be less likely to splatter cookie dough on your ceiling from a rogue spatula if they are able to handle ones that are the perfect size for them. Holiday baking with your kids can be fun- if you set the ground work ahead of time and get the right tools to make it enjoyable for everyone. No matter what, it’s going to be a little messy, a little crazy, but also tons of fun. Holiday baking is a time-honored tradition and not only is it educational for your kids but it also creates wonderful memories.